Till Now We have Discussed that How to extract the Information about the Site and Individual/site/organisation and scanning them for getting live ports or vulnerabilities to attack them. Today I will explain you How to Prevent Yourself from Scanning.. and Tomorrow I will give you the Live demonstration of hacking and attacking a website with complete snapshots. 1. 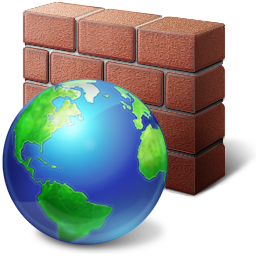 Use a Good Firewall to block all the illegal port activity. The Firewall blocks almost all unauthorized attempts by attackers except the following Ports i.e Firewall doesn’t monitor port 80,8080,8181,3128,53. Port 80 is for servers(webservers). Port 8080 is for HTTP clients. Port 8181 is for HTTPS clients. Port 3128 is a active port Needed for all Network processes. Port 53 is for DNS. Now If you Have a Good Firewall all illegal activity other than these ports can be blocked. Now the Only chance to being attacked is through 80,8080 and 8181. i.e through websites…When you open some malicious website containing malware scripts there are most chances of being attacked. So from this you can guess What will be the Second point…Right..
3. Third way to get attacked is through softwares. Ya Surely I am talking about Good Antivirus... I will recommend all to use AVIRA Antivirus and KASPERSKY. Its because of their interativeness. Note: It took only 50 sec to 1 minute to scan the system and 3 minutes to attack any system and damage it. So prevention is better than Cure. Don’t open them. For which I am talking. I am talking about anonymous mails and spams in your Email ID’s. Point to remember 3 out of 1 mail is a spam and 5 out of 1 contains a virus or attack script. Nowadays you will get emails like you have won 100000$ or something like these… these all mails are BOTNETS., these are viruses. they all are asking you about your personal Information and ask you to follow the Link.. This is all about Scanning Part .. I think you all will like this.. If you have any queries ask me.. I will reply soon. Very good information. Thanks for sharing…. Thanks for your post. Can you post how to hack email through public wifi hot spot?